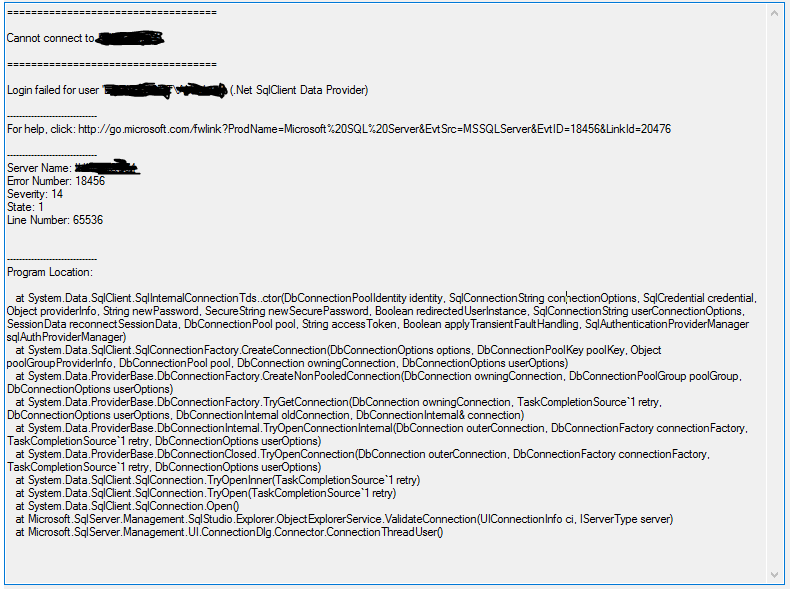 I have created a Group in SQL Server and add an Active Directory group to it with which contains users. But when I add just an AD user separate from the group, it has no problem logging in. Why doesn't the login work with only the group added as a login? This on Windows 2016 server machine and SQL Server 2017. Normally when you receive an error message with the Error: 18456, ... it will contain additional information somewhere. 2018-08-10 15:37:56.10 Logon       Error: 18456, Severity: 14, State: 5. If you can edit additional information into your question, then we might be able to find the root cause together. Not the answer you're looking for? Browse other questions tagged sql-server ssms sql-server-2017 active-directory or ask your own question. 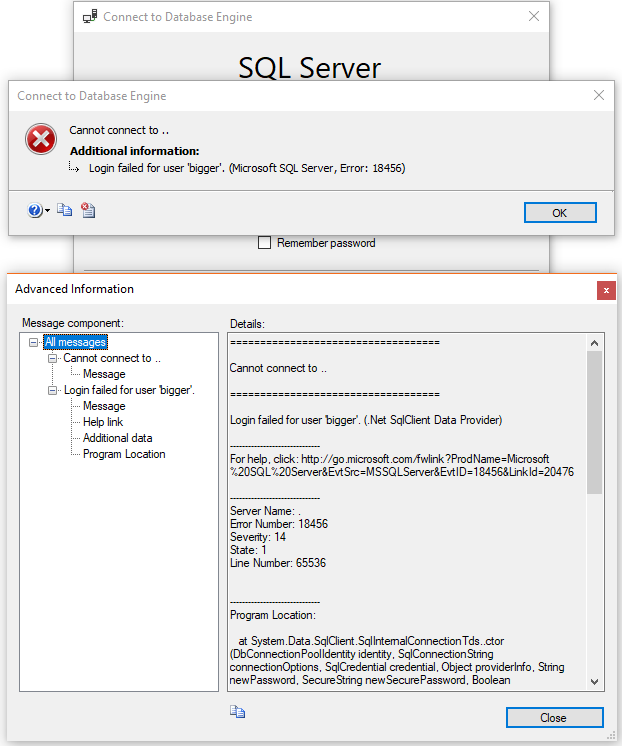 I am getting a failed login message in the SQL Server error logs however, nothing actually failed?